Special bonus for theater lovers: Double Play! Just add $10 to your matinee tickets, and get discounted General Admission seats for On The Spot's featured full-length magical romance, Called Home By the Sea, written and directed by Mike Brayndick. Select the Thursday, Friday, or Saturday night performance of your choice. Called Home By the Sea is set in 1952 Cornell where an old woman who lives in a cliff house on the edge of the sea meets a young girl and her mother. Is the old woman really a mermaid or is that just a child’s dream? Shows are 7:30 p.m. April 4th through April 27th. For only $30 you can enjoy Double Play, more than a 25%+ discount! For advance tickets to Double Play go to Brown Paper Tickets at https://doubleplay19.brownpapertickets.com/ or call (800) 838-3006. Tickets are also available at the theater for cash at the door. 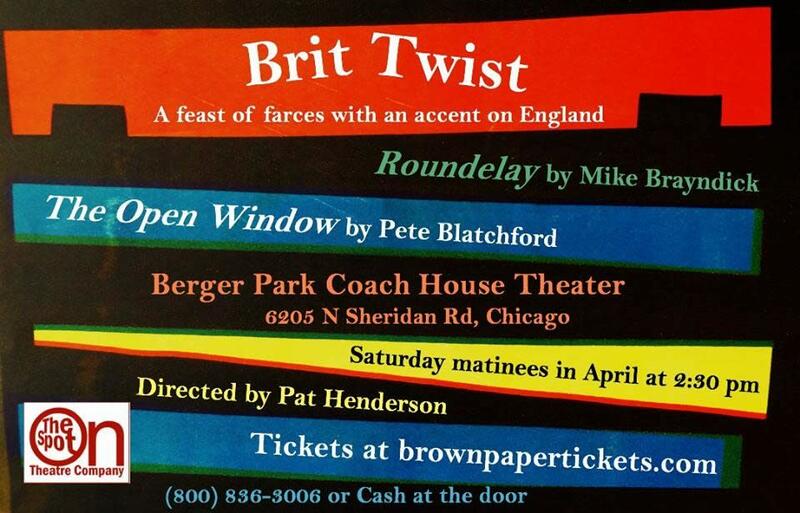 Playwright/director Mike Brayndick is available for interviews. Contact him directly at scriptlink@gmail.com. Tickets are $20 General Admission with a Discounted $15 rate for seniors, students, industry, and groups.